TRUSTEES' 2013 ANNUAL REPORT Download PDF version. We are pleased to share with you the 2013 Annual Report of the Turkish Cultural Foundation (TCF), and the progress we have made in our mission and programs in 2013. In 2013, TCF allocated a total of $1,605,116.51 to grants, operational and program disbursements to pursue its mission. Continuing to be the leading private grantmaker in the area of Turkish cultural preservation and promotion, in 2013, TCF provided a total of $476,394 in grants and fellowships to organizations and individuals. A major portion of the TCF grants underwrote cultural events, such as Turkish cultural and film festivals, workshops, exhibitions, concerts and other performances in the United States, which brought Turkish culture to tens of thousands of Americans. Another significant funding area was in the field of Turkish language education, at a time when many American institutions cut such programs due to budgetary restraints. TCF grants helped sustain or introduce new Turkish language education programs at various educational institutions, ranging from secondary to the graduate school level. A grant to the National Hellenic Research Foundation in Athens for Turkish and Ottoman language instruction also was awarded in 2013. We continued to spread knowledge about Turkey in the U.S. educational system and beyond through the Spotlight on Turkey program. 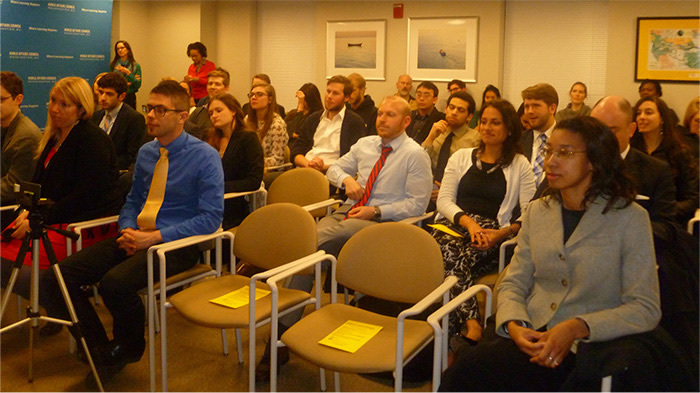 The program runs a full calendar year and is organized in cooperation with the World Affairs Councils of America (WACA). Under the program, TCF and local WACA chapters organized 15 Teacher Workshops on Turkey with the participation of 400 teachers, creating a student impact of nearly 30,000. 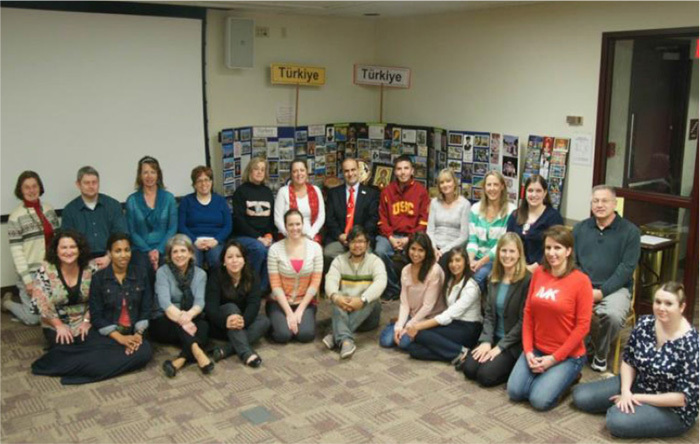 As part of the second phase of the program, in 2013, TCF took 54 American teachers on two Teacher Study Tours to Turkey, bringing the total number of the TCF Study Tours alumni to 479 educators from across the United States. In total, since this program’s inception in 2007, over 3,000 American teachers and an estimated 330,000 students benefited from the Spotlight on Turkey program. Established in 2011 and 2010, respectively, the TCF Culinary Arts Center (YESAM) and the TCF Cultural Heritage Preservation and Natural Dyes Laboratory(DATU) in İstanbul are maturing into leading resources on Turkey’s culinary and textile heritage. DATU and YESAM scholars work year-round to advance the cultural preservation and public education missions of TCF through research, publications, seminars and collaborations with other institutions. A significant part of the work of DATU is dedicated to helping cultural institutions conserve and restore historical artifacts. In 2013, DATU provided free analytical services to 19 museums in Turkey, the United States and Azerbaijan. 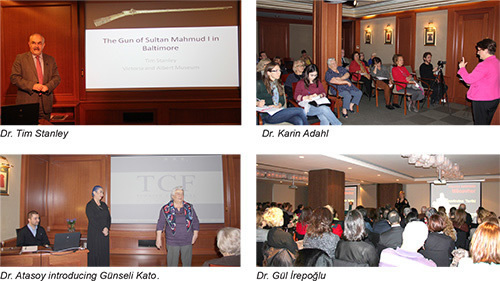 Under the TCF Lecture Series in Turkish Culture and Art, the TCF Turkey branch organized a total of 36 lectures on Turkish culture, art and cuisine at the TCF İstanbul Office and the TCF Culinary Arts Center with a total participation of nearly 1,300. The lecture videos, made available on the TCF Video Gallery, crossed the 100 videos mark at the end of 2013 and were viewed nearly 5,600 times that year. In addition, TCF support helped TCF Resident Scholars, as well as TCF Fellows to participate in international conferences, workshops and other events and share their knowledge with audiences across the world. 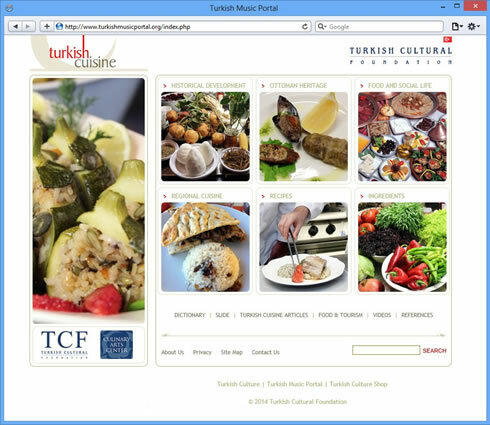 The TCF online portals continued to be major publicly available resources to learn more about Turkish culture, music and cuisine. They were visited by over 2.9 million people from 212 countries and regions in 2013, spreading knowledge on Turkey’s cultural heritage. Board of Trustees Serpil Ayaslı, Ph.D. The following chart provides an overview on how TCF funds were allocated in 2013. For a full listing of all Foundation grants, please visit here. TCF aims to disseminate knowledge about the rich cultural, artistic and culinary heritage of Turkey through the TCF Lecture Series. Turkish and English lectures take place at the TCF İstanbul office from October through May and year-round at the TCF Culinary Arts Center-YESAM at the ARMAGGAN store in Nurosmaniye, Istanbul. TCF also sponsors the participation of its Resident Scholars and other experts in events worldwide, sharing their knowledge with diverse audiences. 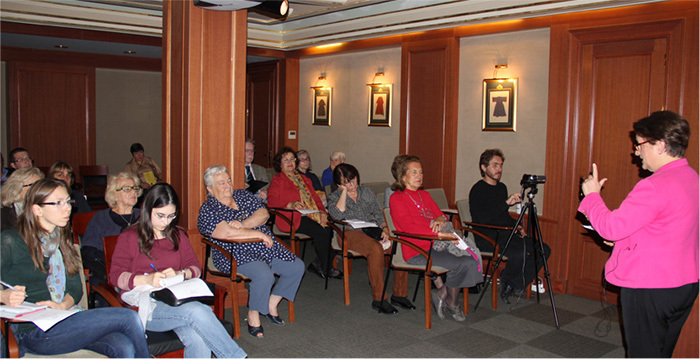 In 2013, the TCF Lecture Series featured 36 lectures on various topics related to Turkish culture and cuisine. A total of 1,256 participants attended these events. The TCF Lecture Series in Turkish Culture and Art takes place at the TCF office in İstanbul. 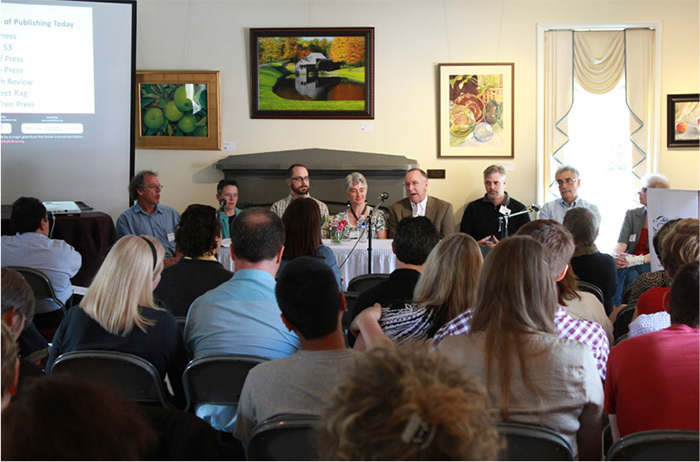 The 2013 season featured 15 lectures, which were attended by 447 participants. These lectures are also recorded and made available online on the TCF Video Gallery. In 2013, the TCF lecture videos were viewed 5,566 times by people all over the world. by Prof. Dr.Gül İrepoğlu, İstanbul University. by Prof. Dr. Sümer Atasoy, Karabük University. by Prof. Dr. Serpil Bağcı, Hacettepe University. “Seljuk Carpets” by Belkıs Balpınar, Researcher, Artist. by Dr. Evangelia Balta, National Hellenic Research Foundation. by Prof. Dr. Hamza Gündoğdu, Sakarya University. by Prof. Dr. Gönül Tekin, Harvard University, Ottoman Studies Foundation. by Assoc. Prof. Dr. Çağan Şekercioğlu, University of Utah. 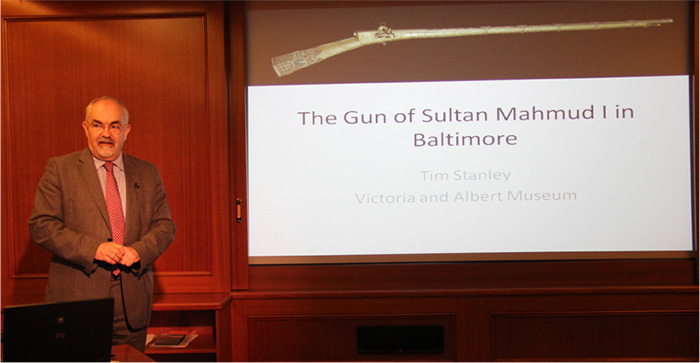 by Dr. Tim Stanley, Senior Curator, Department of Islamic Middle East at Victoria and Albert Museum. by Şennur Şentürk, Curator, Yapı Kredi Vedat Nedim Tör Museum. by Dr. Karin Adahl, Uppsala University. by Dr. M. Sinan Genim, TAÇ Foundation. by Assoc. Prof. Dr. Mustafa Özer, Bahçeşehir University. "Thank you for the Turkish Cultural Foundation’s generous support of The Textile Museum’s 2012-13 lecture series, An Empire of Beauty, that accompanied our current exhibition The Sultan’s Garden: The Blossoming of Ottoman Art. The lectures by Nurhan Atasoy and Recep Karadağ were among the highlights of the series and drew the highest attendance." Bruce P.Baganz, President, Board of Trustees, The Textile Museum. TCF works to advance research and knowledge on Turkish culture and art through the contributions of its senior scholars in the form of presentations and lectures organized by TCF, as well as in cooperation with other organizations. Reaching a nationwide television audience in Turkey, Prof. Dr. Nurhan Atasoy, TCF Senior Scholar in Residence, continued to be a regular contributor to “Tarihin Arka Odası - History’s Back Room,” a popular history talk show on Habertürk TV. 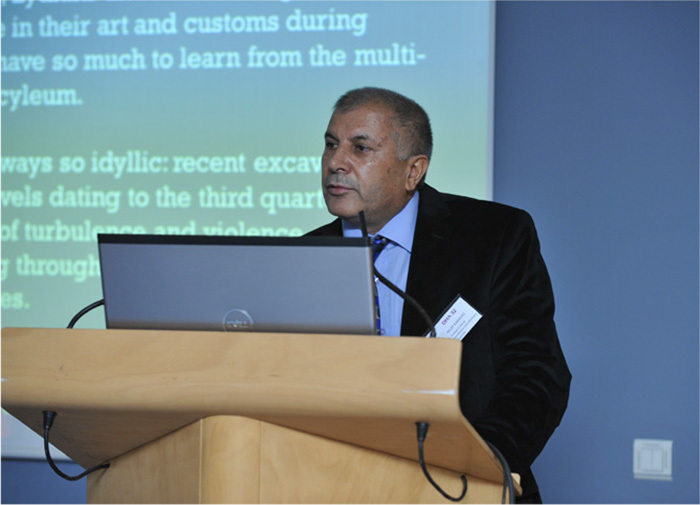 In 2013, Dr. Atasoy also gave numerous lectures on Turkish culture in Turkey and Europe. 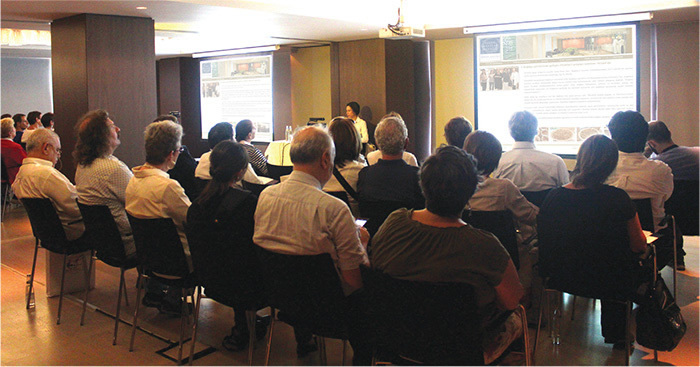 She gave a talk about her book “Impressions of Ottoman Culture in Europe: 1453-1699” at the Muhtar Özkaya Public Library in Kadıköy in February 2013 and spoke at the “Garden, Tree and Flower Culture of Turks” panel and exhibition organized by Düzce University on the occasion of World Forest Day. In June, Dr. Atasoy was invited to Poland, where she spoke on her book “Impressions of Turkish Culture in Europe” at Warsaw University, and on “Ottoman Court Costume” at the Polish Institute of World Art Studies. In September, Dr. Atasoy was invited by the European Parliament to deliver a special lecture on “Impressions of Ottoman Culture in Europe,” in Brussels, Belgium. She also gave a talk on the book at the Turkish Historical Society in Ankara. Several delegations visiting the TCF İstanbul office from the United States also had the privilege of listening to Dr.Atasoy’s lectures, including a group from the Community College of Philadelphia and a delegation from Welcome Clubs International, based in Washington, D.C.
Prof. Dr. Recep Karadağ, Senior Scholar at the TCF Cultural Heritage Preservation and Natural Dyes Laboratory-DATU, gave a talk titled “In the Sultan’s Studios: Recreating Ottoman Textiles” at The Textile Museum in Washington D.C., in January 2013. Dr. Karadağ presented his paper on “Periodic Comparison of two Caftans through non-destructive micro-analysis methods in the Topkapi Palace Museum” at the 9th International Conference for the History of Chemistry, held at the Museum of Gustavianum in Uppsala, Sweden in August. He presented a paper on “Non- destructive micro-analytical methods for the Conservation of Historical Textiles” at the 5th Vienna Intensive School on Conservation Science at the Vienna University of Technology in September. In October, he participated in the “DHA 32nd Dyes in History and Archaeology” conference in La Rochelle, France, and presented two papers: “Organic Lake Pigment Analysis of Koru Tumulus at Daskyleion in the Persian Perio” and “Silk Dyeing and Lake Pigments Obtained from the Helichrysum Arenarium and their Analysis.” In October, Dr. Karadağ and DATU Specialist Emine Torgan presented a paper on “Non-destructive and Micro Analysis Methods for Restoration of Carpets at the Azerbaijan National History Museum” at the “Problems of Restoration, Conservation and Preserving of Monuments of Material Culture” conference in Baku, Azerbaijan. In Turkey, Dr. Karadağ presented a paper on “Bringing Back History in Natural Dyeing” at a conference at Abant İzzet Baysal University in Bolu in April and participated in a platform on “Restoration and Conservation of Cultural Heritage Assets of Turkey,” organized by the General Directorate of Foundations in İstanbul in December. 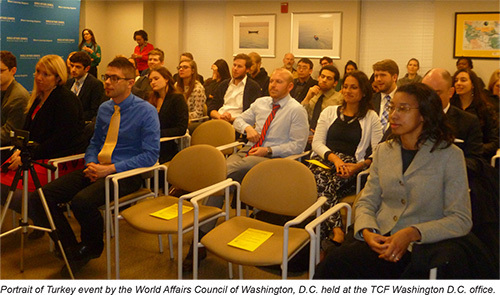 Since 2007, TCF partners with the World Affairs Council of America (WACA) in organizing a national educational program titled Spotlight on Turkey. Sponsored by TCF, the program is organized by TCF, WACA, and WACA chapters across the United States. 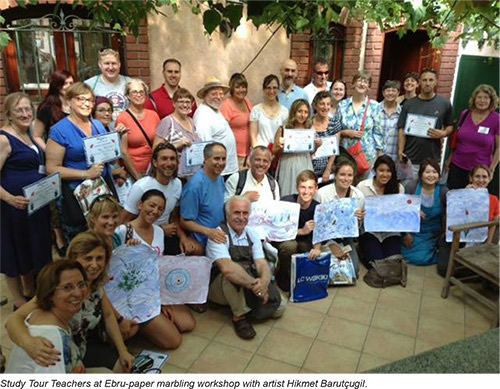 Spotlight on Turkey consists of three stages and year-round programs that include Teacher Workshops on Turkey, Teacher Study Tours to Turkey, and educational/cultural programs for students and the general public, titled Portrait of Turkey. In 2013, the program was undertaken by TCF and 14 local chapters of WACA in the following cities and regions: Connecticut, Dallas/Fort Worth (Texas), Denver (Colorado), Hawaii, Jacksonville (Florida), Minnesota, Montana, New Hampshire, Peoria (Chicago), Santa Fe (New Mexico), Seattle (Washington), South Dakota, Washington, D.C. and Vermont. 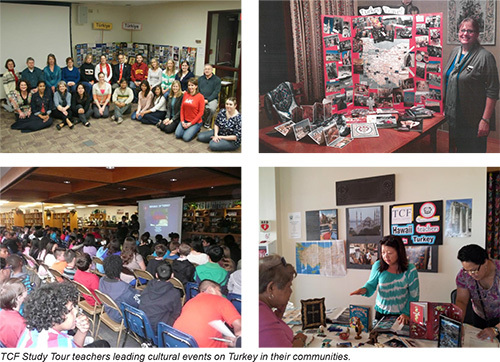 As part of the Spotlight on Turkey program, TCF sponsored and helped organize 14 Teacher Workshops on Turkey across the United States in 2013. Organized by the participating WACA councils, the workshops were attended by 277 teachers from 205 schools. The estimated student impact of the workshops nationwide was 25,000. The total number of teachers who have attended the TCF-WACA Teacher Workshops on Turkey since 2007 reached over 3,000 in 2013 with an estimated reach of 330,000 students across America. 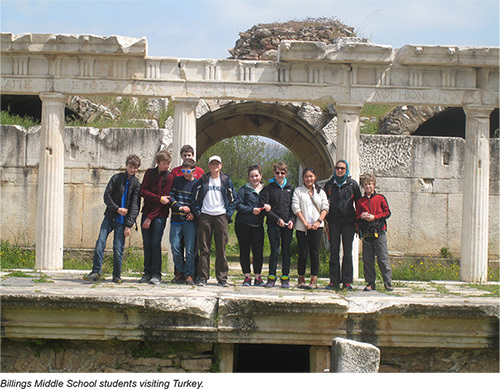 TCF organized and sponsored two Teacher Study Tours in the summer of 2013, which introduced 52 American educators to Turkey. 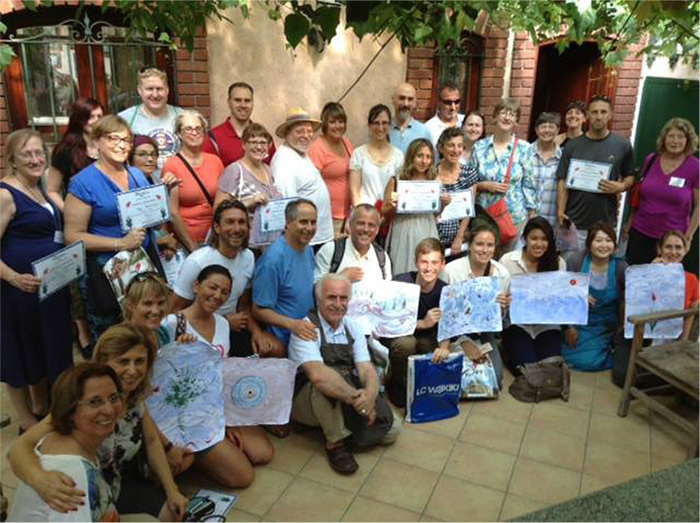 Since the program’s inception in 2007, TCF has hosted 477 American educators on these educational tours in Turkey. The final tier of the Spotlight on Turkey Program features public educational and cultural programs called Portrait of Turkey. Organized by participating WACA chapters with support from a TCF grant, this program engages the teachers who return from the TCF Teacher Study Tours in creative ways and reaches out to their students and the general public to spread the word about Turkey and Turkish culture in communities nationwide. 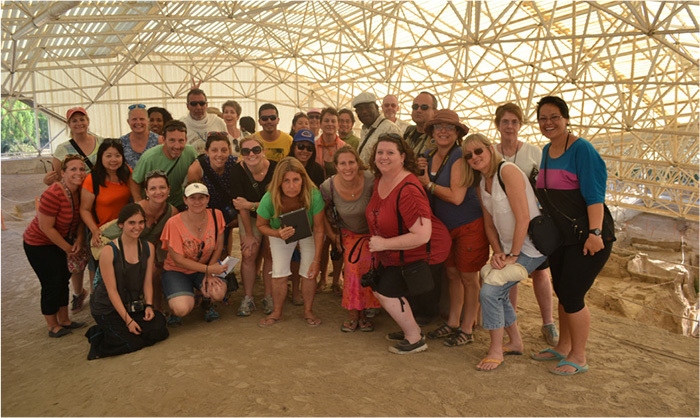 2013 TCF Teacher Study Tours. TCF also reached out to thousands of social sciences teachers and administrators at the 93rd National Council for Social Studies Conference in St. Louis on November 22-24. TCF promoted both Turkey and TCF educational initiatives and resources at the event, particularly the Spotlight on Turkey program. The TCF presentation also included the screening of Broad Horizons, a documentary on the TCF Teacher Study Tours. TCF was represented at the conference by St. Louis teachers who participated in the TCF tours and by members of the Turkish American community in the area. TCF and its programs received broad media coverage in 2013. In total, TCF was mentioned in mainstream U.S. and Turkish outlets more than 100 times, including an in-depth Washington Post article on the TCF Teacher Study Tours program. The Teacher Study Tours program and the teachers who traveled to Turkey were also featured in 12 other regional news articles and reached hundreds of thousands of readers in eight U.S. states. In April, Food & Wine Magazine named NAR Restaurant as one of “100 Restaurants Worth a Pilgrimage” as the only one in Turkey. NAR Restaurant is located on the top floor of the ARMAGGAN store in Nuruosmaniye, İstanbul and is a partner of the TCF Culinary Arts Center- YESAM, located in the same building. YESAM benefits from the chefs of NAR Restaurant in the preparation of its food tastings which accompany the year-round YESAM culinary lectures program. The TCF sponsored U.S.-Turkish Jazz Exchange at the Meridian International Center in Washington, D.C. was covered by six U.S. and Turkish publications, including a feature story in the Washington Diplomat. 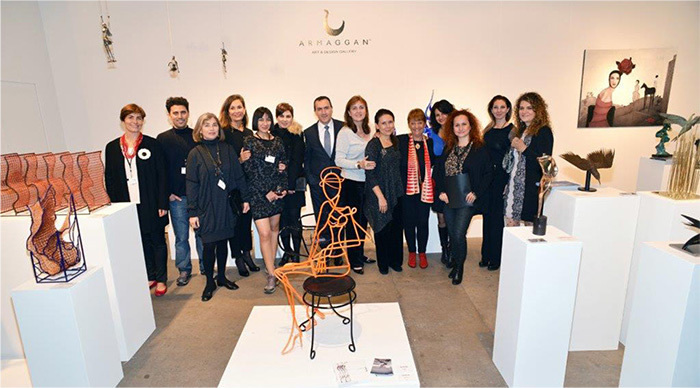 The TCF-ARMAGGAN Art and Design Gallery’s Turkish modern art showcase at the 20th Sculpture Objects and Functional Art (SOFA) Fair in Chicago, was mentioned in eight Turkish publications. In 2013, TCF continued to grow its social media presence. The organization developed a robust content strategy that highlighted the rich cultural knowledge found on TCF Portals, as well as regular updates on TCF-sponsored events and programs, and presented it all in a way that encouraged engagement and increased the organization’s reach. Over the course of the year, the organization’s Facebook audience doubled in size while its Twitter audience grew by more than 75%. TCF continues to expand and improve its award-winning websites. 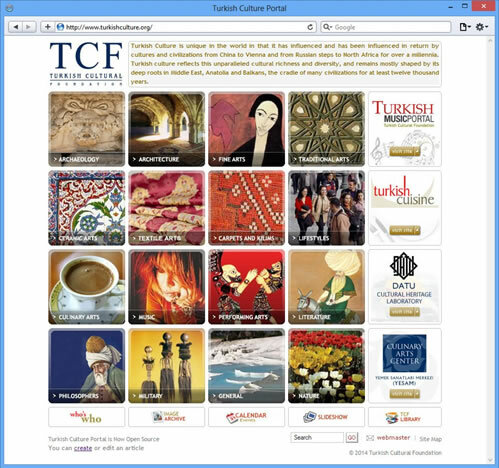 Its efforts to promote Turkish culture worldwide continued in 2013 with new content added to TCF portals on Turkish culture, music and cuisine. In 2013, the TCF portals received 2,980,340 visitors from 212 countries and regions. 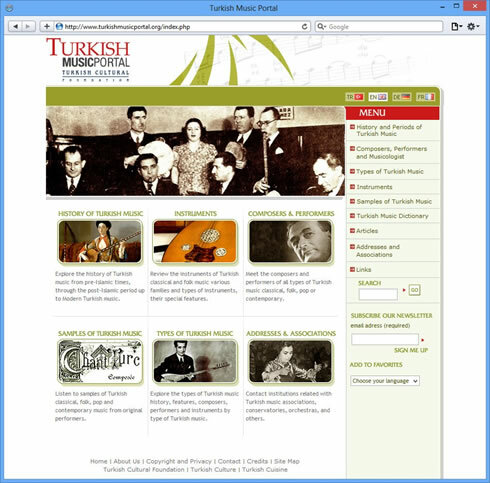 The Turkish Culture Portal was reconfigured as an open source platform in 2012 to allow interested individuals to share knowledge on Turkish culture. Web users have been adding new articles and images and suggesting corrections on existing content to the hundreds of topics featured on the portal. The Turkish Culture Portal highlights some of the distinct characteristics and qualities of Turkish culture and its contributions to human work and thought. The website is intended as a casual and entertaining walk through of topics related to Turkey’s rich culture. Its content will always be a work in progress, given the depth and the multiple dimensions of the subject. The Turkish Music Portal is the first public educational website dedicated to Turkish music and was inaugurated in January 2006. It explores the history of Turkish music, reviews the instruments of Turkish classical and folk music, and introduces composers and performers of all types of Turkish music. Available in Turkish, English, French and German, the Turkish Music Portal also features the first online Turkish Music Dictionary, a project funded by TCF. Inaugurated in 2007 and available in English and Turkish, the Turkish Cuisine Portal is a rich resource featuring the many different aspects of Turkey’s diverse culinary culture, including history, sociology, beliefs, ingredients, techniques and recipes. The TCF Culinary Arts Center (YESAM) portal features information on YESAM events, lectures, summaries and videos, monthly recipes and other information on Turkish cuisine. 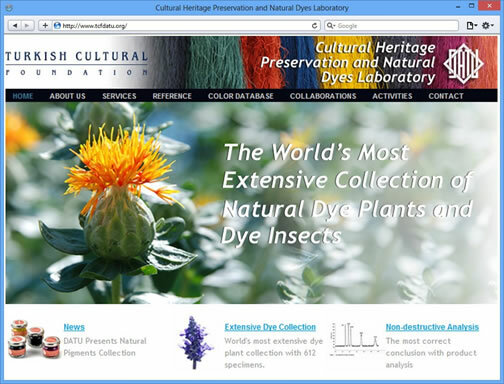 The TCF Cultural Heritage Preservation and Natural Dyes Laboratory (DATU) Portal contains a wealth of scientific knowledge on natural dyes and features an expansive database of plants, insects and other materials used in the generation of natural dyes. The Portal also provides information on the institutional work of DATU, as well as scientific articles published by the DATU research team. Spearheading and supporting projects that preserve the cultural heritage of Turkey is one of the pillars of TCF. Progress was made on several existing TCF programs in this area and new projects came to fruition in 2013. Located in Istanbul, on the 4th Floor of the ARMAGGAN store in Nuruosmaniye, the mission of the TCF Culinary Arts Center-Yemek Sanatları Merkezi-YESAM is to help preserve and enhance knowledge of Turkey’s past and present culinary traditions through research and education. 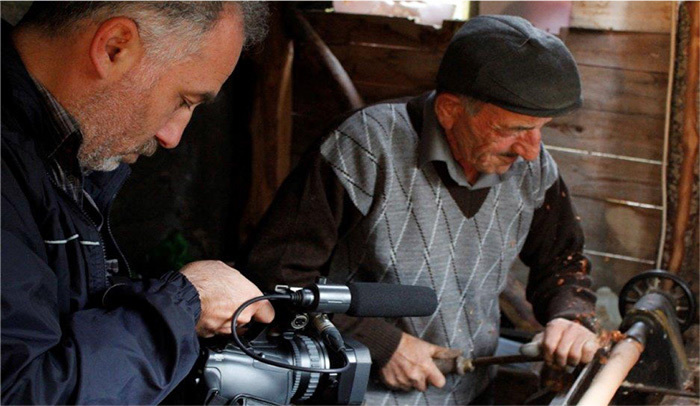 To this end, YESAM works to record foods, tangible and intangible food-related traditions in Turkey, as well as regions with which Turkey shares cultural and historical ties. It also works to develop educational models through theoretical and applied methods to pass Turkey’s culinary heritage to future generations and promotes Turkish cuisine to international gastronomical circles and the general public. 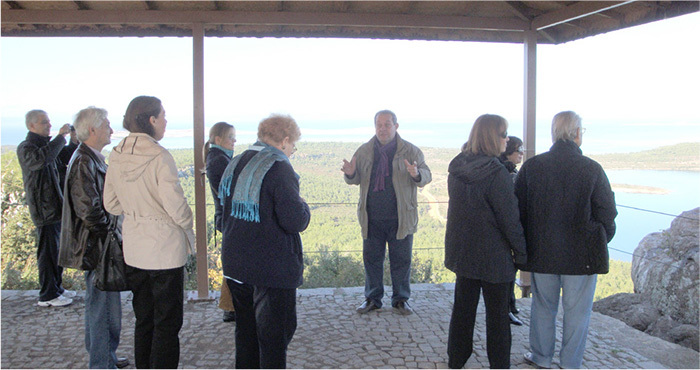 At the end of 2013, YESAM launched its Culinary Culture Tours program. 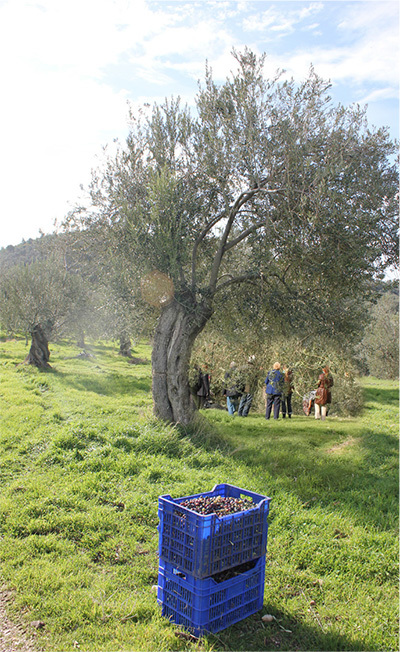 The first culinary tour was organized to Ayvalık and timed for the olive harvest. 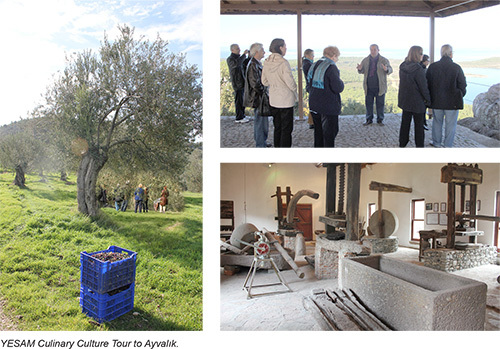 Led by Nedim Atilla, culinary author, participants on the tour enjoyed the process of harvesting olives, observed the making of olive oil, sampled and learned about the cuisine of Ayvalık. 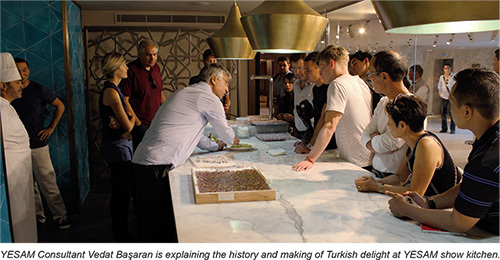 A year-round lecture series on Turkish cuisine was launched at YESAM in 2012. In addition to presentations by Turkish culinary experts, the lecture program is accompanied by food tastings offered by NAR Restaurant. 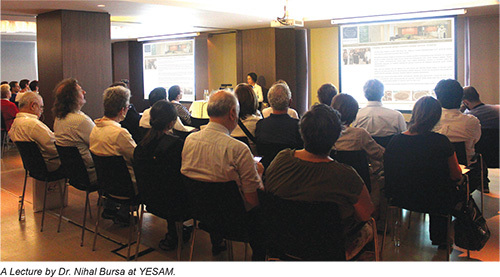 Throughout 2013, YESAM hosted a total of 21 lectures, which were attended by 809 participants. The YESAM lectures are also recorded and presented for online viewing on the TCF Video Gallery. In 2010, TCF inaugurated the Cultural Heritage Preservation and Natural Dyes Laboratory - DATU in İstanbul under the sponsorship of the ARMAGGAN brand. The mission of DATU is to document, preserve and promote Turkey’s textile heritage through scientific research and field-based studies. DATU now holds the world’s most extensive collection of natural dye materials and has become one of the most advanced laboratories on natural dyes. The work of DATU on natural dyes goes hand-in-hand with the research and field-based studies conducted by the DATU team on Turkey’s material culture. 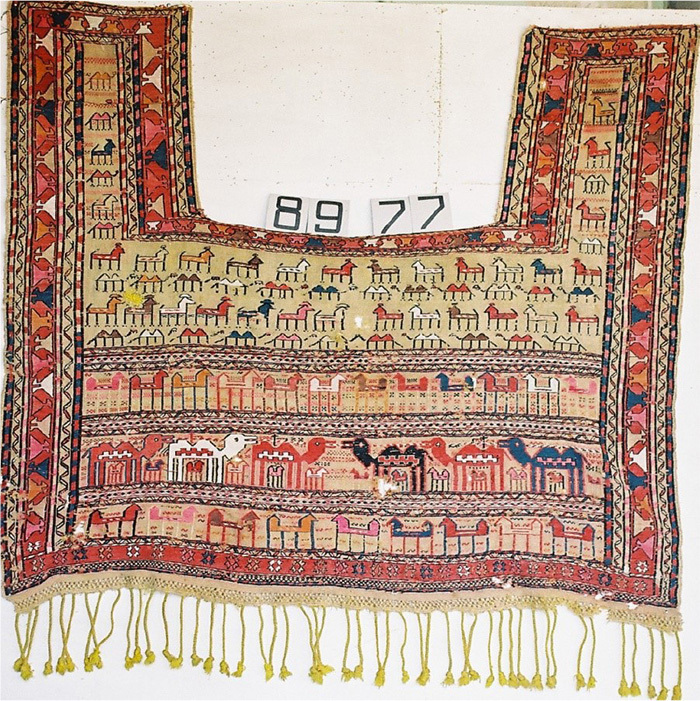 Led by Dr. Ozanay Omur, the DATU team conducts research on designs, motives and weaving techniques that accurately reflect regional and historical characteristics of Turkish textiles. 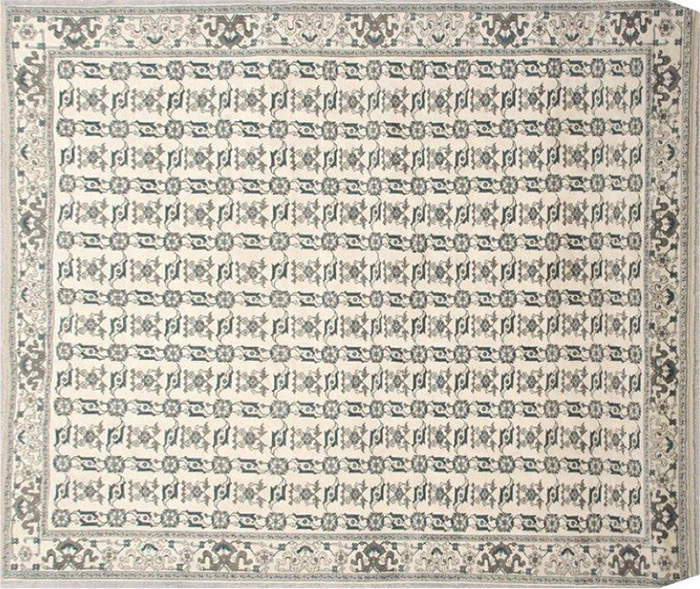 Since its inception, DATU has undertaken comprehensive studies of Anatolian carpets, kilims and needlework - or oya. Through its cooperation with and under the sponsorship of ARMAGGAN, DATU not only helps to preserve Turkey’s rich textile heritage, but also to revive it. TCF-DATU and ARMAGGAN joint projects support sustainable rural employment, which has created income opportunities for over 250 women across Turkey. 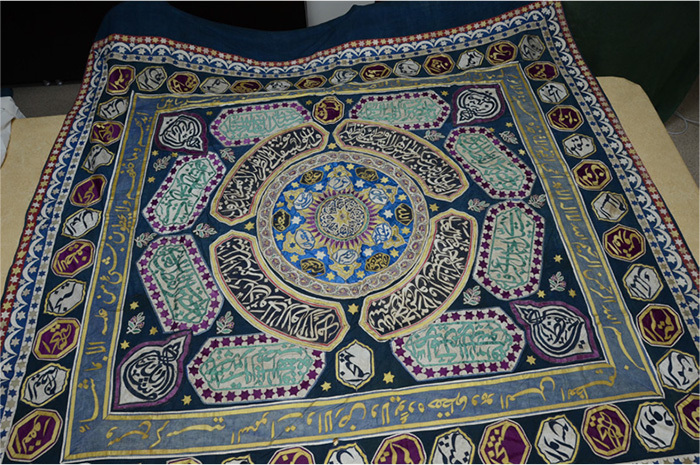 A notable project that took place under this partnership is the creation of two carpets for official residence of the President of the Republic of Turkey. The carpets were woven over a period of six months by weavers of the Çamlık Village in the town of Selçuk, İzmir with naturally dyed, hand- spun yarns from the Konya region. In 2013, ARMAGGAN and TCF-DATU also collaborated in the production of an Anatolian kilim collection. More than 50 women were trained and employed as part of this project, which took place in partnership with the Osmaniye Public Education Center and the Karatepe Kilim Cooperative in the Osmaniye province, and the Van Kilim Works Atelier. In Van, the project was implemented in different neighborhoods, helping to create employment for women whose families have been severely impacted by the 2011 earthquakes. ARMAGGAN and TCF-DATU collaborated on the designs, natural dyeing and weaving process of the kilims, which were woven on traditional looms using wool, silk, and linen yarns. 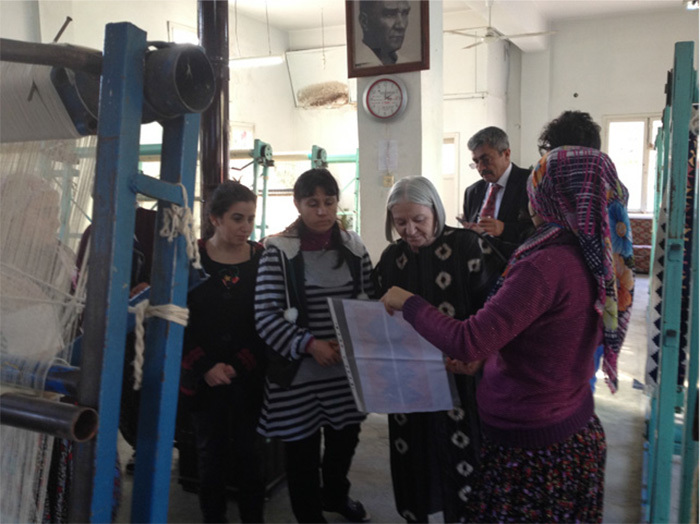 Dr. Omur also frequently met with women artisans who teach or study at Public Education Centers (Halk Eğitim Merkezleri) to advise on how to improve designs, local authenticity and quality for their creations. Through scientific publications, the DATU research team shares the findings gained from analysis of historical textile and other objects with the scholarly community. By also making the publications available on the DATU portal, TCF shares its knowledge base with all interested parties and the general public. In 2013, the DATU team, led by Dr. Recep Karadağ, published four papers in internationally recognized journals; Dr. Karadağ also presented eight papers at international conferences. These articles and other information regarding the scientific work of DATU can be accessed on its portal. DATU also produced a collection of 32 natural organic lake pigments. Made from dye insects and dye plants indigenous to Turkey, the collection is the largest and first of its kind. The DATU Pigment Collection is used in decorative arts, as well as in the restoration of paintings, frescos, miniatures, paper marbling and illumination art. The collection also includes certificates detailing the chemical and physical properties of each pigment, as well as its source. 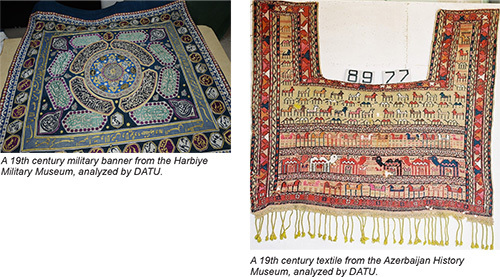 In line with the TCF mission to preserve Turkey’s cultural heritage, DATU provides free analytical services to leading museums in Turkey and elsewhere, which helps identify, date, restore, and conserve historical artifacts and particularly textiles. In 2013, DATU provided such services to 19 museums, conducting 323 dye analyses, 103 metal thread analyses, 10 color measurements and 36 microscopic measurements for a total of 472 analytical processes. The DATU analyses helped correctly date artifacts and offered guidance as to the best methods and procedures for restoration. TCF-DATU also provided scientific support to the subsequent restoration of many of the artifacts it analyzed, including the coloring of fabric to be used in the restoration. In line with international restoration standards, DATU customized and applied the dyeing process specifically for each fabric to be used in the restoration. Many of these services were provided under a protocol signed in 2013 between TCF and the Istanbul Restoration and Conservation Laboratory, which designated DATU as a partner in the preservation and restoration work provided by this laboratory to museums and other state cultural institutions in Turkey. TCF continued to expand the Who’s Who in Turkish Culture and Art online database, which features living Turkish artists, artisans and experts. Accessible from the TCF Turkish Culture Portal, the database reached nearly 2,800 artist entries by the end of 2013. The goal of the project is to help identify and recognize practitioners of Turkish traditional and modern arts, and help to promote Turkish artists worldwide. 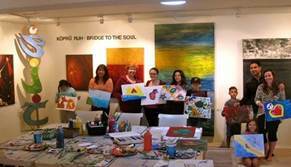 The project also enables people of common interests to connect and collaborate on artistic and cultural projects. Who’s Who in Turkish Culture and Art is organized under various categories such as Visual Arts, Turkish Traditional Arts, Applied Arts, Literature, Music, Theater, Movie, Documentary and TV, Dance and Ballet, Academics, Fashion Design, Restoration and Conservation. In 2013, TCF continued to support the Eyüp Music Foundation, one of İstanbul’s oldest musical societies. TCF’s support provides music education to children who are unable to pursue it formally and underwrites the Foundation’s concert program. In 2013, the TCF grant underwrote a tribute concert to celebrate Amir Ateş, a renowned composer of Turkish classical music. With support from the grant, the Foundation organized its second concert on the music of İstanbul titled, “Geçmişten Günümüze İstanbul’da Musiki (Music of İstanbul-Past to Present). TCF has designated the archaeological site of Çatalhöyük as a grassroots education and donation project to raise awareness in the United States about the importance of this site to the history of Anatolia and mankind and to help raise funds for its preservation. Çatalhöyük, a stop on the TCF Teacher Study Tours, was inscribed on the UNESCO World Heritage Sites list in 2012, thanks in part to the multi-year grants provided by TCF, which helped the excavation team led by Dr. Ian Hodder of Stanford University to improve the site. As the only Neolithic site on the UNESCO list from the Middle East, Çatalhöyük holds universal value for our understanding of the way of life in early agricultural settlements. 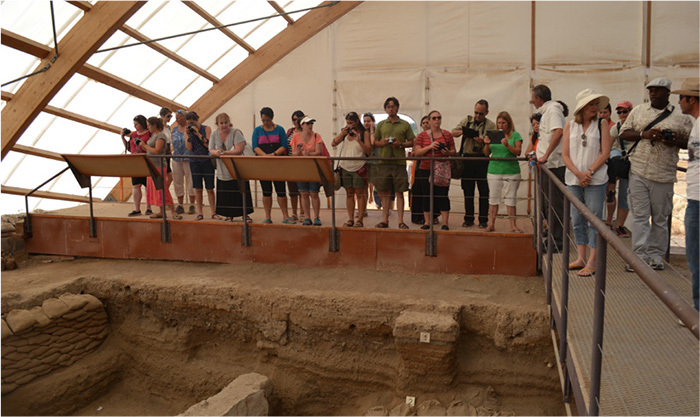 Participants on the 2013 TCF Teacher Study Tours spearheaded student awareness projects on Çatalhöyük and raised funds for the site. TCF matched the donations raised by the teachers for Çatalhöyük in 2013 and will continue to do so until the end of 2014. TCF continued its support for a multi-year, multi-disciplinary research and documentation project on Turkish music. The project’s first phase to create an online Turkish Music Dictionary was completed and made available on the TCF Turkish Music Portal in 2011. The second phase of the project is the creation of a Turkish Folk Music Dictionary, the first of its kind. The project is led by Turkish ethnomusicologist Dr. Melih Duygulu, who previously coordinated the TCF Turkish Music Portal project. Work continued on the project in 2013 with Dr. Duygulu’s team completing seven field research trips through the year, visiting Erzurum and the towns of Aşkale and Şenkaya; Konya; Kayseri and villages of the Sarıoğlan and Akkışla towns; Tokat and the towns and villages of Almus, Niksar and Reşadiye; Bolu and the town of Kıbrıscık; Çorum and the town of Alaca; and finally Şanlıurfa. 2014. The dictionary is scheduled to be published by Dr. Duygulu in late 2014. Meanwhile, a separate project will be undertaken by TCF to classify and edit over 60 hours of original video content and hundreds of images compiled during the research project, which will be shared with the general public over the TCF portals. Since its founding in 2000, the Turkish Cultural Foundation has made significant contributions to advancing knowledge on Turkish culture and art, as well as Turkish language studies through its support of academic institutions and individual scholars. 68 scholars have been awarded the TCF Fellowship in Turkish Culture and Art since its launch, including 16 scholars who received the Fellowship in 2013. In 2013, TCF also conducted a comprehensive evaluation of this Fellowship program to chart the future of TCF support of academic-level Turkish cultural studies. In 2010, TCF awarded a five-year grant at the total value of $120,000 to the Ottoman Studies Foundation, a U.S. non-profit organization established in 1996. 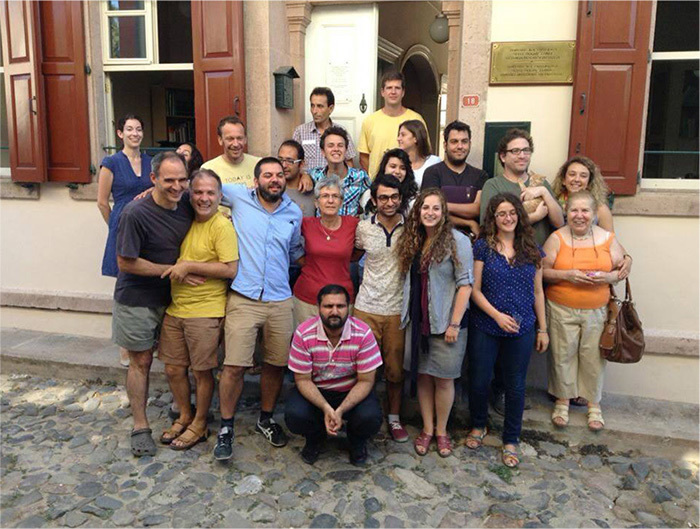 The TCF grant supports the Ottoman Studies Foundation’s Intensive Ottoman and Turkish Summer School (IOTSS) held every year at the Sevgi - Doğan Gönül Ottoman Research Building in Cunda, Turkey. The school provides proficiency-based instruction in reading and translating Ottoman Turkish texts in both manuscript and printed forms. 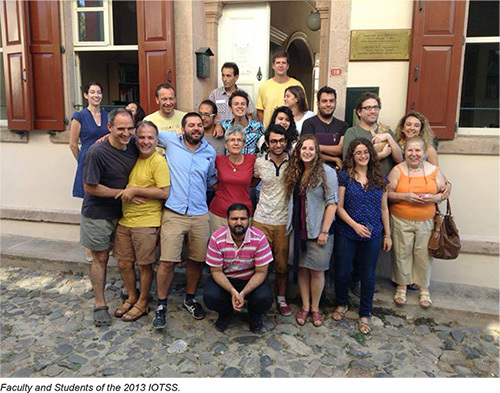 The IOTSS is the only study abroad program that offers training in advanced level Ottoman Turkish paleography and language. The TCF grant provides funding for the leading scholars who teach at the school, as well as scholarships to students. The 2013 school session took place from July 8 to August 16 and accepted 21 students from among 31 applicants who hailed from universities in the United States, Canada, the Netherlands, Great Britain, Greece, Italy and Turkey. TCF awarded a second year major grant to the Ottoman Studies program at the National Hellenic Research Foundation in Athens, Greece. The TCF grant provides full funding to offer a course on Ottoman Language and Paleography at the Foundation. In its first year, the program enrolled 58 students. 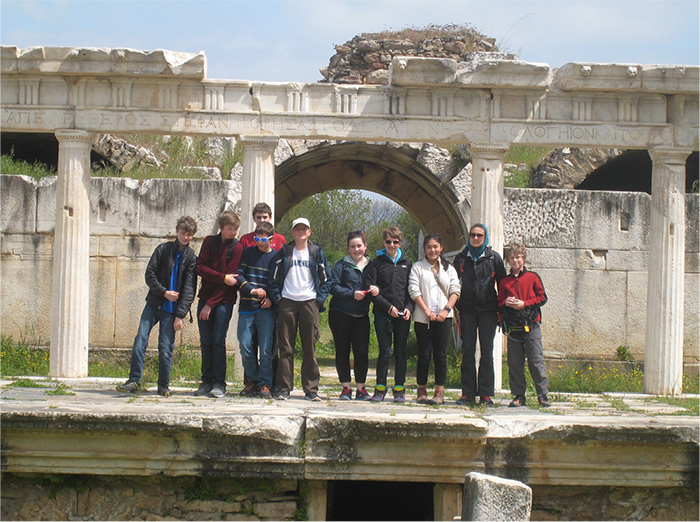 Offered in 2013 at two levels, 58 students successfully completed the two levels taught by Dimitris Loupis (TCF Fellow in Turkish Culture and Art -2010). 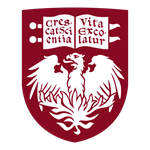 In 2000, the year TCF was founded, the Trustees established a fund for Turkish Language Instruction at the University of Chicago. The gift established and continues to support the Ayaslı Lectureship in Turkish Language Instruction at the University. The Lectureship is now held by Dr. Kagan Arik, a scholar with a long teaching experience in Modern Turkish Language and Literature, and a background in Central Asian Turkic Studies. In addition to teaching elementary, intermediate and advanced Turkish, Dr. Arik also has been offering courses on Uzbek language and Turkic and Central Asian cultural studies, under the program. In the last three academic years alone, 208 college and graduate students enrolled in the courses taught by Dr. Arik. TCF awarded a third-year grant to Stanford University to support a full-time Lecturer position in Turkish Language and Literature at the University. During the 2012-2013 academic year, Burcu Karahan Richardson, the lecturer and a recipient of the TCF Fellowship in Turkish Culture and Art, offered a total of 10 courses on Turkish language and literature, including two in Ottoman Turkish, which was offered for the first time at Stanford. She also presented two academic events about Turkish literature and cinema and published three academic publications. The courses taught under the program were Reading Turkish I and II, Advanced Turkish, Ottoman Turkish and two courses on Turkish literature. Total enrollment in the courses was 28 undergraduate and graduate students. 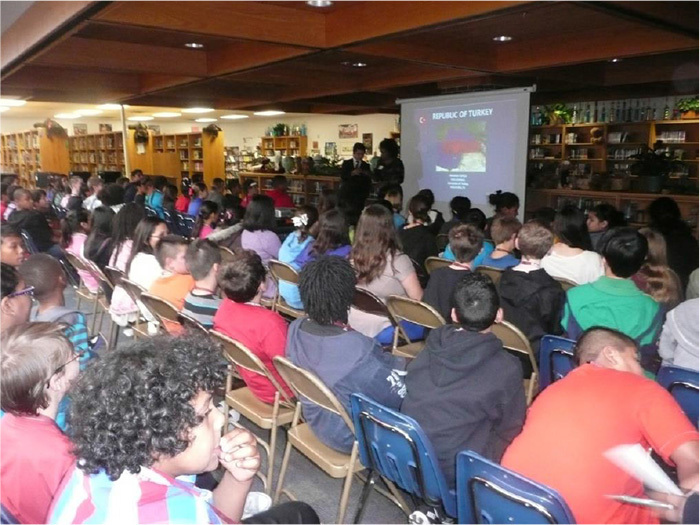 A 2013 TCF grant to Billings Middle School in Seattle, WA provided funding to institutionalize secondary level Turkish language education at the school. The project was spearheaded by Rebecca Timson, Dean of Faculty of the school and an alumnus (2007) of the TCF Teachers Study Tours to Turkey. In reflection of its commitment to support Turkish language and heritage education for Turkish American children, TCF established the Turkish American School Grant in 2005. Since then, TCF has awarded 26 grants to support the establishment or expansion of Turkish American community schools nationwide. 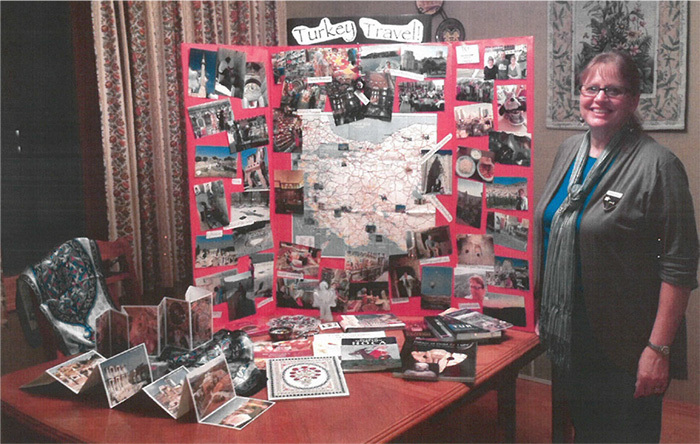 In 2013, the Turkish American Association of Minnesota was awarded the TCF Turkish American School Grant. TCF provided a major grant to İLKYAR Foundation, a Turkish NGO and recipient of previous TCF grants, which organizes educational programs and aid campaigns that benefit schools in rural areas of Turkey. 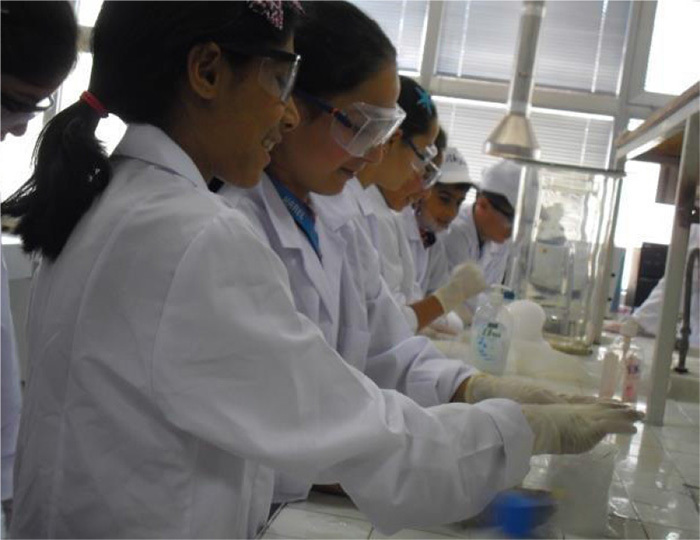 The TCF grant supported a Math & Science summer camp for elementary school students and teachers from regional boarding schools in Turkey. 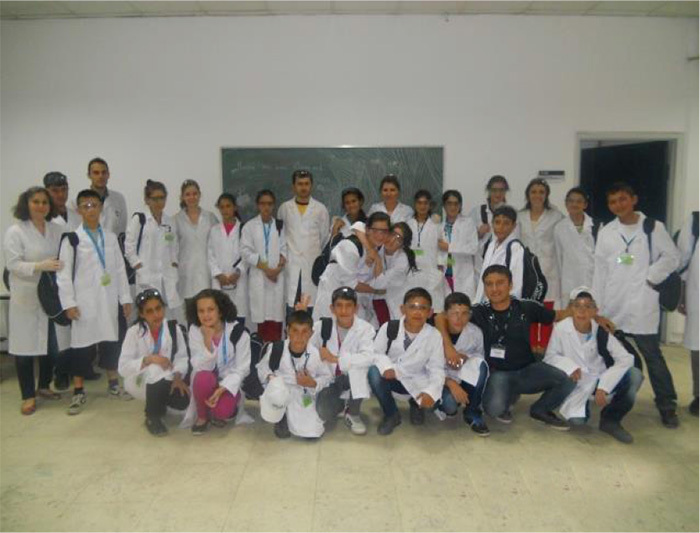 153 children and 41 teachers participated in the 2013 summer camp, which was run by 28 İLKYAR volunteers, numerous faculty members and staff. The camp took place on the campus of the Middle East Technical University in Ankara on June 17-22. 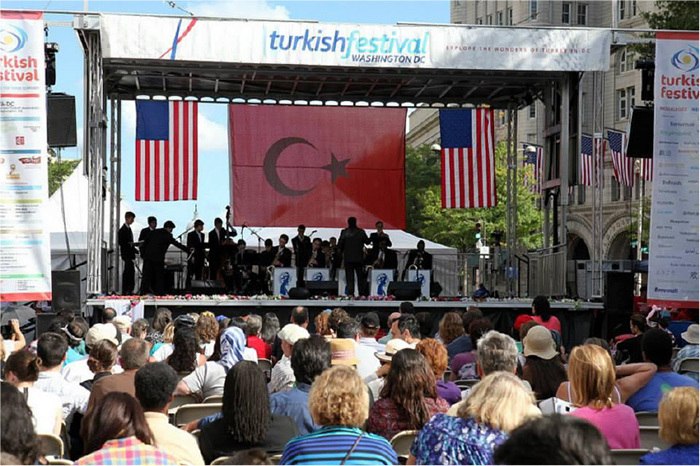 TCF continued to contribute to the promotion of Turkish art and culture by supporting cultural, music and film festivals, exhibitions, and performances across the United States. TCF also facilitated cultural and artistic exchanges between Turkey and the U.S. through its grants and fellowships to institutions, as well as individual artists. Having presented the works of 32 Turkish contemporary artists at the Sculpture Objects & Functional Art - SOFA fairs since 2007, TCF joined forces with the ARMAGGAN Art & Design Gallery in this project in 2012. 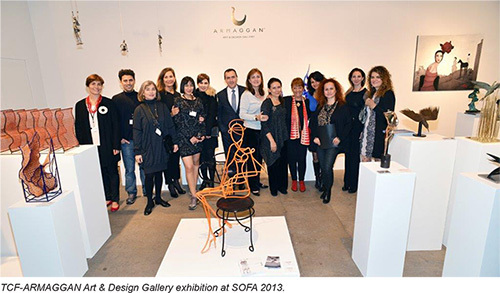 In 2013, ARMAGGAN became the lead sponsor and organizer of the Turkish modern art display at SOFA, as part of its vision to support and promote Turkish artists and designers. 10 Turkish modern artists joined dozens of international artists and tens of thousands of art enthusiasts at the 20th SOFA Fair on October 31 - November 3, 2013 in Chicago. Aslı Kutluay, Ayşegül Kırmızı, Camekan, Derya Özparlak, Dilek Aydıncıoğlu, Dinçer Güngörür, Meral Değer, Nadia Arditti, Pembe Hilal Tüzüner and Semra Özümerzifon took part in the TCF-ARMAGGAN Art & Design Gallery’s exhibition at SOFA Chicago. The SOFA Fair brings together groundbreaking modern artists, sculptors, designers, curators, and collectors from around the world for a series of exhibits, lectures, and discussions and is visited by tens of thousands of art lovers every year. The TCF Cultural Exchange Fellowship Program was launched in 2012 to encourage cultural and artistic exchanges between Turkey and the world by supporting artists and art/culture professionals. In 2013, TCF awarded 14 fellowships under its Cultural Exchange Fellowship Program, bringing the total number of Fellows under this program to 40 since the program’s inception. Refik Anadol, an Audio/Visual Artist and Designer, was awarded the fellowship to work on a large scale exhibition at the Pacific Design Center in Los Angeles, U.S.A.
Doğan Arslanoğlu, a Photographer, participated in the Wassaic Residency Program in New York, USA, a multi medium residency that includes writers, musicians, and visual artists. Halil Demirdelen, Archaeologist and Curator at the Anatolian Civilization Museum in Ankara, was invited to give a series of lectures and workshops on Anatolian civilizations at the University of Pennsylvania Museum of Archaeology and Anthropology in Philadelphia, U.S.A.
Şirin Pancaroğlu Dervent, a Harpist, performed a solo recital at the 12th International Harp Festival and Workshop in Belgrade, Serbia, organized by the Harp Association of Serbia. Ali Dolanbay, a Contemporary and Performing Artist, performed his work “Untitled Act New York” during the Brooklyn International Performance Art Festival, in collaboration with Panoply Performance Laboratory in New York, U.S.A.
Dr. Begümşen Ergenekon, Anthropologist and lecturer at the Middle East Technical University in Ankara, Turkey, presented her paper “Food, Health and Wellbeing in Urunlu Village, Turkey” at the 8th International Conference on Culinary Arts and Sciences in Porto, Portugal. Deniz İkiz, a Ph.D. Candidate at the Faculty of Technology, Design and Environment at Oxford Brookes University, UK, presented a paper on “Global Heritage Cities: A New Perspective for the Adaptation of the Historic Urban Landscape Approach to the Globalised Urban Context” at the International Conference of Heritage, Cities and Sustainable Development in Paris, France. Gülfidan Özmen, a Glass Artist, exhibited her glass art works at the “+1” Glass Show as part of the Glass Boston exhibition in Boston, U.S.A.
Ceylan Öztürk, a Sculptor and Visual Artist, undertook an Art Residency Program and exhibited her work at the Museum of Ideas in Lviv, Ukraine. Leyla Postalcıoğlu, a Dancer and Choreographer, attended the Dance WEB Residency Program at the International Dance Festival in Vienna, Austria. Elvan Serin, a Visual Artist, was accepted as the 2013 Ceramic Artist in Residence at the Künstlerhaus Stadttöpferei Neumünster, Germany. Zafer Yumlu, a Horn musician, taught Turkish music for the horn at the Dornbirner Horntage 2013 and at the Musikschule Dornbirn, Austria. Zeynep Çelik, Professor of Architecture in the College of Architecture and Design at New Jersey Institute of Technology, U.S.A, presented her paper “The City, Ideology and Collective Memory” at the Conference on “Memory and Culture,” organized by the Cultural Research Association in Turkey. 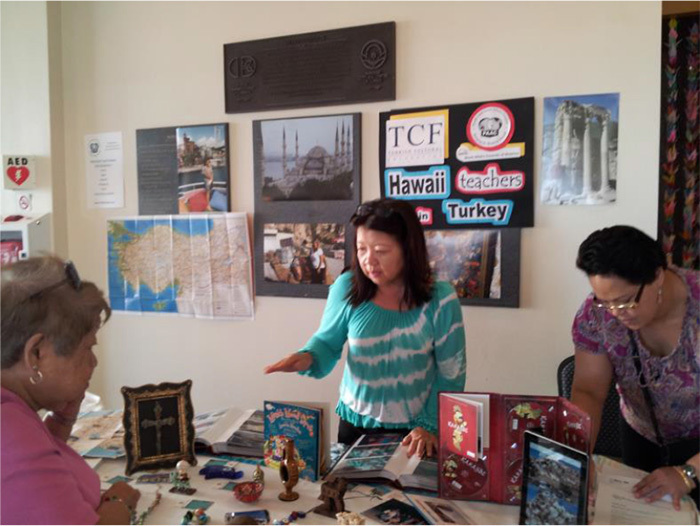 In 2013, TCF supported leading Turkish cultural festivals in Boston and Seattle, organized, respectively, by the Turkish American Cultural Society of New England, and the Turkish American Cultural Association of Washington (TACAWA). Thousands of Americans experienced Turkish music, art, culture and cuisine at these festivals. The 18th Boston Turkish Arts and Culture Festival took place under the theme “Colors of Anatolia” and included art exhibits, workshops, performances, culinary events and a short film competition. The festival began on Turkish Republic Day, October 29th, and ran through December 15. The events took place at leading Boston institutions, including the Boston Museum of Fine Arts, Harvard University and the Boston Public Library, and were attended by over 83,300 participants. The 13th Turkish Cultural Festival in Seattle-Turkfest took place on October 19-20 at the Seattle Center under the theme “Mosaic of Histories,” featuring cultural performances, children activities, cooking demonstrations and seminars. It was attended by an estimated 8,000 people. TCF also provided a grant to support the third annual International Children’s Friendship Festival in Seattle, organized by the TACAWA. The celebration, which was held on April 23rd, Turkish National Sovereignty and Children’s Day, has developed into an international event in Seattle. This year’s festival featured children’s performances representing 23 countries and Seattle ethnic communities. Promoting Turkish cinema in the United States remained on the cultural agenda of TCF in 2013. The Foundation once again became the main sponsor of the 12th Boston Turkish Film & Music Festival, co-presented with the Museum of Fine Arts Boston. A major TCF grant to the Moon and Stars Project of the American Turkish Society (ATS) continued to support the expansion of Turkish film festivals in the United States. As a result of TCF cooperation and funding, Turkish cinema was brought to diverse audiences at the 2nd Seattle Turkish Film Festival, the 7th Turkish Film Series in Milwaukee, and the 2nd Annual Turkish Film Festival in Chicago. 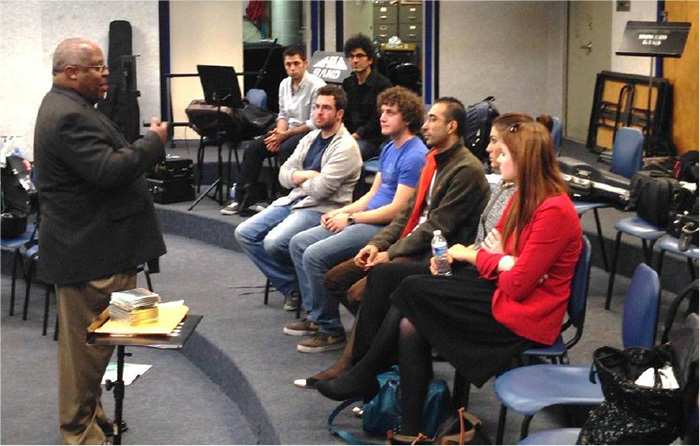 A TCF grant to Makam New York helped underwrite the Second Annual Turkish Music Institute Workshop. The workshop was held in New York City on April 5-9, 2013. Sponsored by TCF for the second year, this intensive workshop provides musicians the opportunity to learn Turkish makam music from its finest practitioners. This year’s workshop opened with a concert titled “Sounds of the Bosphorus” on April 4 at the Leonard Nimoy Thalia Symphony Space on Broadway. The sold-out concert was attended by over 300 people, who were treated to a rich repertoire representing Turkey’s musical heritage through various forms and composers of diverse backgrounds. 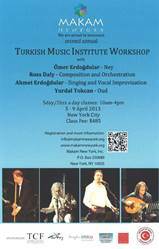 Makam New York brought master musicians of Turkish classical music, Yurdal Tokcan (oud), Ross Daly (orchestration and composition), and Ömer Erdoğdular (ney), and Ahmet Erdoğdular (singing and vocal improvisation), to New York City. The five-day workshop was attended by 24 students, some of whom traveled from the East Coast of the U.S., Canada, and even North Africa. A major TCF grant underwrote the 5th Nazım Hikmet Poetry Festival and Competition organized by the American Turkish Association of North Carolina. TCF has underwritten this event since its inception. The Festival was held on April 14, 2013 at the Page Walker Arts & History Center in Cary. 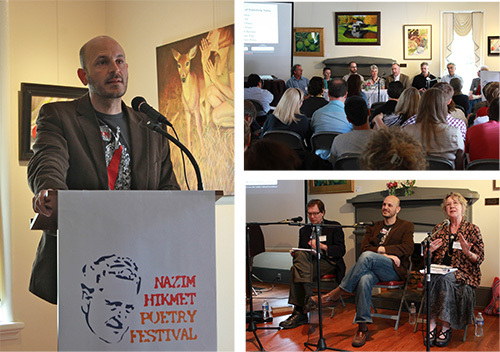 The festival brought together poets, scholars and the community in celebration of poetry and honoring the Turkish poet Nazım Hikmet. 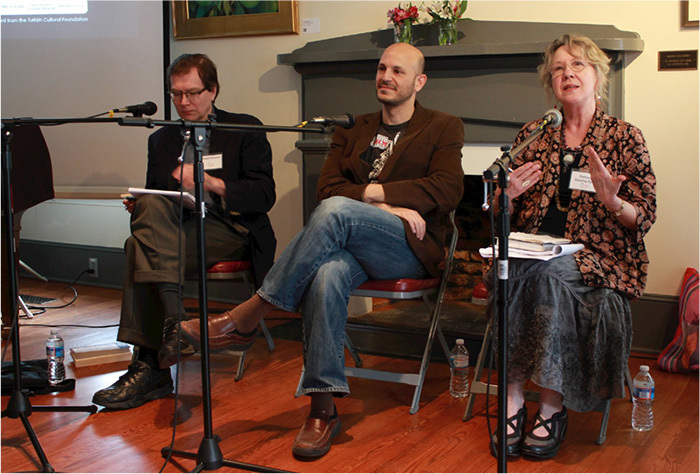 About 150 poetry lovers attended the 2013 festival, which marked the largest attendance ever. The heart of the festival is the poetry competition, which is open to poets from all around the world. The competition received over 800 poems from 272 poets from the United States and other countries. Every year the festival focuses on a poet with international stature. The featured poet for 2013 was Mahmoud Darwish, a Palestinian poet. A key highlight of the festival was the initiation of the Turkish poetry translation project. As a result, works by three Turkish poets were translated. 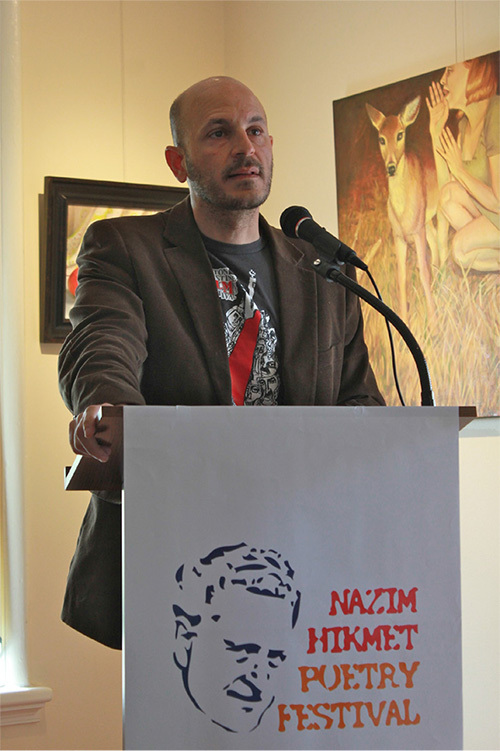 Erdag Goknar, translator of Orhan Pamuk’s My Name is Red, joined the festival with his original translations of Nazım Hikmet’s Kurtuluş Savaşı Destanı and his quatrains. Murat Nemet-Nejat, who is an established translator of contemporary Turkish poets, contributed four translations of Birhan Keskin poems. Finally, the collaboration between a former finalist of the Hikmet competition, Jeffrey Kahrs and the Turkish poet Hatice Örün, resulted in three Gülten Akın translations. The Festival also published a scrapbook with Fady Joudah’s talk, poems by the winners and the Turkish poetry translations, which is available through Amazon. TCF provided a second year grant to NY2Dance, a non-profit dance theatre company in the U.S., under the artistic direction of Nejla Y.Yatkın, an acclaimed Turkish American dancer and choreographer. 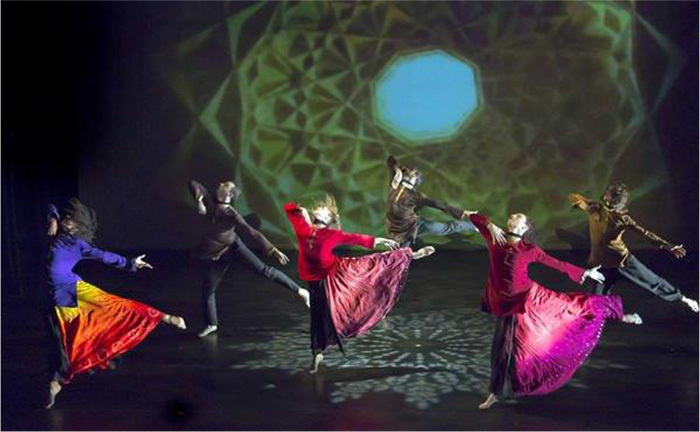 The TCF grant underwrote NY2Dance’s 2013 performances of “Oasis” at the Bates Dance Festival at Bates College in Maine, the Alvin Ailey Citigroup Theatre in New York, the Family Theater of the Kennedy Center in Washington, D.C. and the International Contemporary Dance Festival in Lima, Peru. “Nejla Y. Yatkın’s “Oasis,” which had its official U.S. premiere on Friday evening at the Bates Dance Festival, gives the impression of a piece of art that has been honed until every millimeter and nanosecond is full of intent and commitment, without sacrificing its raw emotional impact... Nary a note, beat or instrumentation wavered from the sense of inevitability that a good music-dance marriage should have, and the mood for each piece was gorgeously matched to its message...”Oasis” is what every choreographer hopes for with a multimedia dance piece: seamless integration of each element. Portland Press Herald Review by Jennifer Brewer, July 13, 2013, excerpts. For the fifth year, TCF sponsored Istanbulive, a celebration of Turkish contemporary music in the U.S. After several years of presenting Turkish contemporary music to New Yorkers, Istanbulive5 was designed as a traveling Turkish Rock showcase, which took place from March 7-22, 2013 and featured the leading Turkish rock bands Gripin, Mor ve Ötesi and New York Gypsy All Stars. The groups performed at the first Turkish Rock showcase at the SXSW festival in Austin, and to full houses in Boston, D.C. and New York City, reaching over 1,400 fans, music experts, media and tastemakers. To top off the success of the events, Billboard Magazine picked Gripin as one of the Top 20 break-out acts based on social media metrics. The festival was produced by New York based Serdar Ilhan and Mehmet Dede Productions. TCF awarded a grant to the American Turkish Association of Southern California ATA-SC San Diego to underwrite a performance by the award-winning HOY-TUR Turkish Folk Dance Troupe, which took place on October 20. TCF also awarded a grant to the American Turkish Association of Southern California, ATA- SC to underwrite a commemorative event celebrating the life and achievements of Mustafa Kemal Atatürk on November 10, 2013. The event was attended by over 200 participants and took place in Carson, California where plans are underway to build an Ataturk monument in the Carson Sculpture Garden. TCF provided a grant to Turkish Radio Hour based in San Francisco and broadcasting on San Francisco community radio every Saturday, through ATA-SC. Produced by a volunteer Turkish American team, the program features information on Turkey, Turkish culture and art, business and scientific interests. It can be listened to live online and from its archives. TCF sponsored a series of performances in Washington, D.C. by five emerging Turkish jazz musicians as part of the first U.S.-Turkish Jazz Exchange hosted by the Meridian International Center. The performances by Serkan Alagök, Berk Kurdoğlu, Yunus Emre Muti, Emre Toprak and Cemre Yılmaz under the direction of Emre Kartarı took place at the Meridian International Center, the Turkish Embassy Residence, D.C. public schools, Busboys and Poets, and the 11th Annual Washington Turkish Festival, where the group performed with the Blues Alley Youth Orchestra, as well as jam sessions at the Sitar Arts Center and Howard University. The students also enjoyed special briefings at the Smithsonian Institution and the National Archives, as we as other cultural excursions. TCF provided a grant to Art for All People, a California based organization, to organize an intercultural collaborative art exhibition, artist talks and children’s programs highlighting the philosophy and teachings of 13th century mystic Rumi. The events took place in March and April 2013 and were attended by over 300 participants. TCF continued to provide major funding to American museums and art institutions to promote Turkey’s traditional and contemporary arts. Tens of thousands of people visited these exhibitions in 2013, advancing TCF’s mission to promote Turkey’s artistic and cultural heritage and contemporary arts. TCF provided a major grant to the American Turkish Society to support a debut exhibition by Turkish designers at Wanted Design in New York City’s landmark Terminal Stores Building on May 17-20, 2013. “Design: Istanbul-New York” showcased seven creations by Turkish designers Hande Akçaylı and Murat Koçyiğit of Mashallah, Ali Bakova, Umut Demirel, Tamer Nakışçı, Koray Özgen, Erin Türkoğlu and Melodi Bozkurt, and Can Yalman. Design items included Pleat Box ceramic light by Hande Akçaylı and Murat Koçyiğit; Extra Wine Set made of carafe and wine glass by Ali Bakova; Attractive mirror & magnet combination by Umut Demirel; Relax porcelain tableware by Tamer Nakışçı; Tuluat wool rug by Koray Özgen; Novela Vessels ceramic tabletop pieces by Erin Türkoğlu and Melodi Bozkurt of Muzz Design; and Tearend Tea Cup & Saucer by Can Yalman. A lively conversation on “Design Entrepreneurship” between renowned style editor Melissa Feldman and creator of Turkey’s first luxury design brand Gaye Çevikel, and a collaborative performance on the art of cocktails presented by Chef Dilara Erbay and designer mixologists of Brooklyn, Guinea Pig Group, were organized in tandem with the exhibition. The events and exhibition, which was also supported by ARMAGGAN Art and Design Gallery, attracted nearly 10,000 visitors. For the second year in a row, TCF provided a major grant to support an exhibition by Turkish ceramic artists during the Annual Conference of the National Council of Education for the Ceramic Arts-NCECA. This year’s NCECA conference took place in Houston on March 20-23, 2013. The exhibition was showcased at the Canal Street Gallery and was curated by Işık Gençoğlu of Istanbul Concept, Organized under the theme “Balance: Stories of Anatolian Territory - II,” more than thirty works by thirty Turkish ceramic artists were featured in the exhibition. 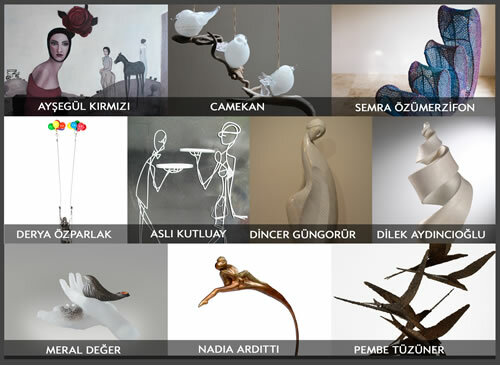 The featured artists were: Adil Kerem Sarıkaya, Aydan Birdevrim, Beril Anılanmert, Bingül Başarır, Burcu Karabey, Deniz Onur Erman, Dilek Aydıncıoğlu, Elhan Ergin, Elif Aydoğdu Ağatekin, Enver Güner, Ezgi Hakan V. Martinez, Güngör Güner, Hande Bilten, Hasan Şahbaz, Hüseyin Özçelik, K. Deniz Pireci, Kemal Tizgöl, Leman Kalay, M. Tüzüm Kızılcan, Mehmet Kutlu, Mustafa Tunçalp, Mutlu Başkaya, Öder Ünsal, Ödül Işıtman, Ömür Tokgöz, Reyhan Gürses, Tuğrul Emre Feyzoğlu, Türker Özdoğan, and Zehra Çobanlı. Mutlu Başkaya, featured Ceramic Artist, excerpts from the Balance exhibition catalog.